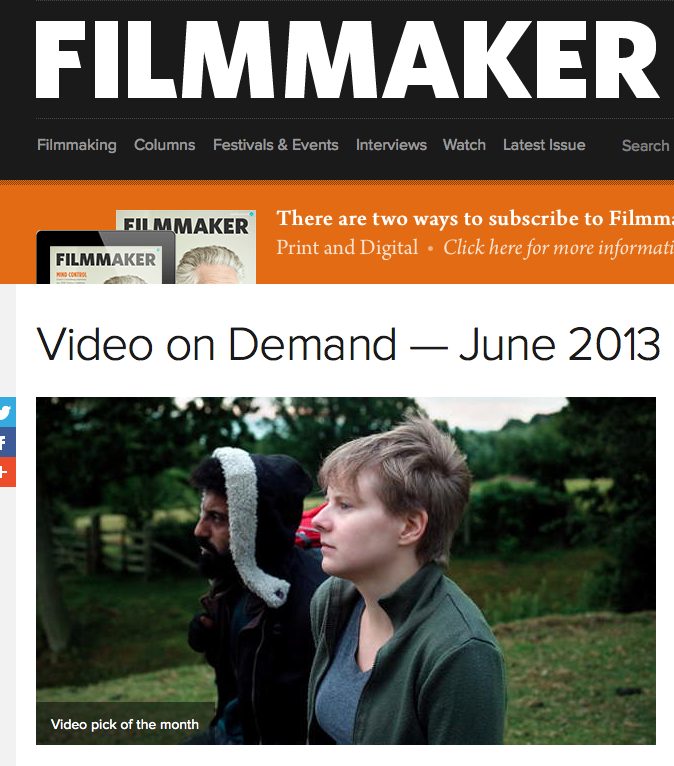 Stranger Things is Filmmaker Magazine’s VIDEO PICK OF THE MONTH for June! Ron Eyal and Eleanor Burke’s elegant and evocative Stranger Things, which won Slamdance’s Narrative Competition Grand Jury Prize in 2011 is a moody and clear-eyed drama from a pair of our 25 New Faces in Independent Film, as tranquil and refreshing as an autumn afternoon along the rural British coast, where much of its story is set. Thank you to everyone at Filmmaker Magazine for selecting Stranger Things from all the great films released this month. Stranger Things will be available on VOD in North America from 11th (next Tuesday). Please check it out on iTunes or Amazon! We will post links as soon as we can!